Ireland will speak about her Learning with Fun! initiative at the meeting on April 3. 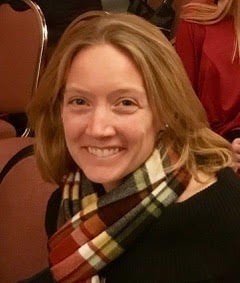 AUBURN — Jessica Ireland will speak about her Learning with Fun! initiative at the A-L Rotary Club breakfast at 7 a.m. Wednesday, April, 3. The club will meet at the Auburn United Methodist Church, 439 Park Ave. Cost for breakfast is $15. Ireland started Learning with Fun! in 2012 because she believes in personalized learning and loves helping young minds learn and grow. As a teacher at public and private schools, she was not able to make the difference she wanted with her students so she set out on her own in 2015. With a BA in social work and a masters in education from St. Josephs College, Ireland is also licensed in ABA therapy and spent many years working with students who had behavioral or developmental learning delays. She is applies these methods in her teaching in Lindamood Bell- and Orton Gillingham-based learning. Ireland’s philosophy in teaching takes a student-centered approach toward learning. She builds individualized curriculum for each student’s lesson based on his or her learning style and she discovers the learning styles by following her BAINES! Method where she studies students Behaviors, Aspirations, Interests, Nutrition, Exercise and Sleep. Ireland believes that every child can and will succeed when provided with the right tools. She is dedicated to figuring out each child’s learning style and designing a curriculum to fit their learning needs. When Ireland is not teaching, she is spending time at home on a Casco Bay island with her four daughters and fiancé, skiing, boating and being a mom.